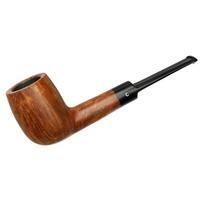 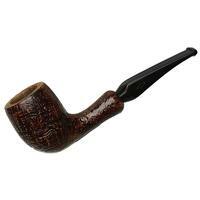 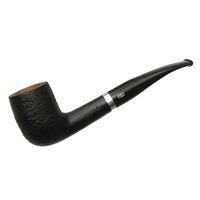 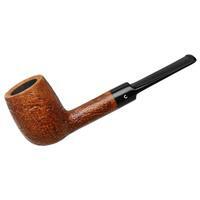 Sturdy and a bit tallish is how I would describe this saddle-stemmed Billiard shape. The form is simple and clean, and fitting to that look the sandblast is kept pretty light, as far as depth goes, though it serves to accentuate quite a stellar display of rippling ring grain. Excellent condition and still unsmoked.